The best way to get to know Joburg is to hang out with an insider. In our Ask a Local series we chat to our favourite Joburg city people to get the lowdown on what makes the place unique. This week Bheki Dube shares his views on Joburg with us. BHEKI DUBE is the founder of the popular backpacking hub Curiocity Hostels, one of the pioneering developments in the hip downtown Maboneng Precinct (recently included in Forbes magazine’s rundown of the world’s coolest neighbourhoods). Curiocity also has a branch in Durban and another coming soon to Cape Town. He is also the founder of Maboneng-based walking tour company Mainstreetwalks and other cool experiences in South Africa. 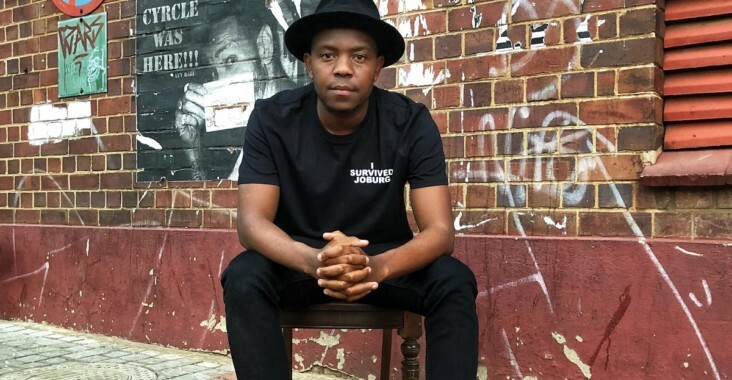 One of Joburg’s most successful and innovative young tourism entrepreneurs, Bheki describes himself as ‘born, bred and buttered in Joburg’, while other locals fondly refer to him as the ‘Mayor of Maboneng’. Joburg is closely interlinked to the work that I do. I’ve been able to build up foundations here and my day to day hustle. This is a city where I am able to navigate, create, conceptualise, implement and build freely and honestly. There is also a deeper connection to the city that keeps me here which has its roots in my youth. I genuinely love Troyeville where I grew up. It’s an area that springs from a well of positivity. I love its avant-garde feel, its thinkers and thought leaders. There’s this really cool new cafe in Maboneng called Bertrand, run by two French guys. The reason I dig it is that they literally curated and made everything that is in the space, from the furniture to the fittings. It brings a different vibe to the ‘hood. Little Addis, the Ethiopian quarter downtown on Jeppe Street – I get really cool shirts there. Another place I really dig and which is very much underrated is the fashion district in Jeppestown where you’ll find the old City Outfitters. It’s where you go when you want your Umswenko (swag) to be right. 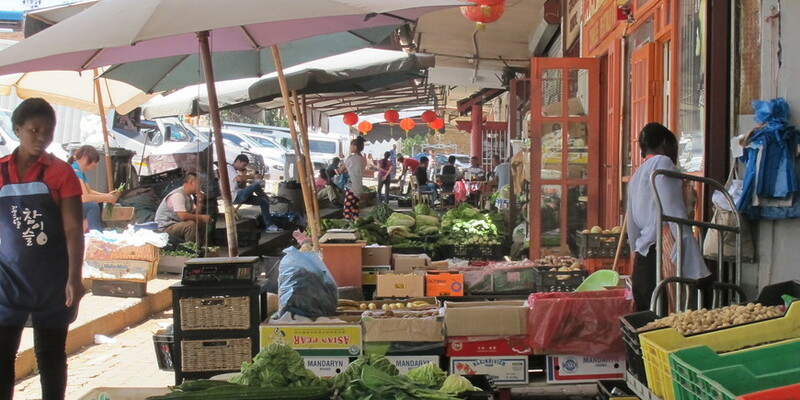 Chinatown in Cyrildene as well as the Cantonese quarter in the CBD. I spend a lot of time at the Hideout at Curiocity obviously. Other really cool bars to check out would be the bar at The Troyeville Hotel, one of the local’s favourites in Troyeville. Recently I’ve been spending a lot of time at The Wilds and I enjoy taking people there to get a bit of nature in the city, it’s definitely somewhere you should check out. Otherwise if you’ve got time there’s nothing better than the Nirox Sculpture Park in the Cradle of Humankind (open at weekends), definitely on my list of top 10 things to do in Johannesburg. It’s unfair to limit it to three! But definitely Maboneng and everything that comes with it. 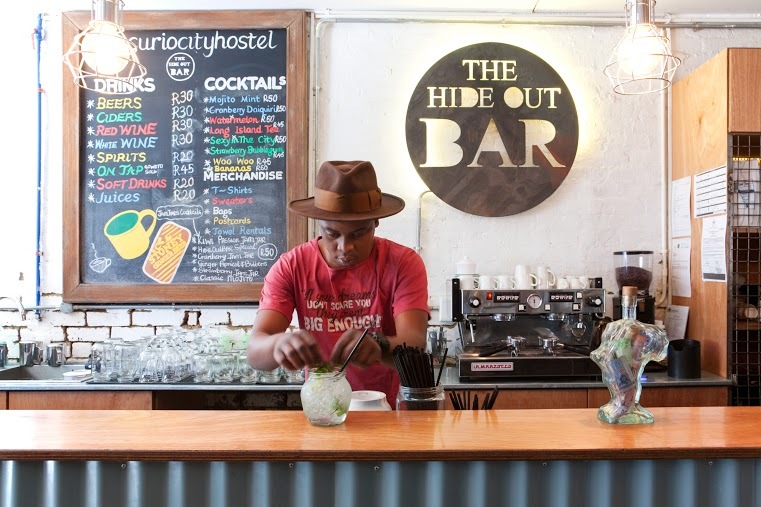 There are a lot of places to visit within the neighbourhood and a lot of hidden treasures – definitely check out Curiocity, the Taste Kitchen by Chef Nti and jazz at The Marabi Club. Then a visit to Brixton to Bra Sifiso’s spot The Roving Bantu if you wanna really be pushed out of your comfort zone, and Soweto. Soweto is an incredible place and an interesting curation of our history, where we have come from and where we’re heading. On weekends you’ll find me …. It depends – I’m always hustling! Often at weekends I have a lot immersions and tours, otherwise I also go out to events that are happening in the city. You can also find me at the Tennis Club in Ellis Park and another really cool new place The Testament on Juta Street in Braamfontein. Tourists, and even locals, are always surprised to hear that visitors spend so much time here! There’s much more to do here than people think. Top tip for a first-time visitor to Joburg: Visit Curiocity! Our team will be the gateway to the city for you. Best things about Joburg: I love the fact that it has so many hidden treasures and they seem to be the heartbeat that keeps the city going. It’s a very hard city, a very rough city but the many little pockets of cool keep it going and keep it a special space in the heart. Worst things about Joburg: Inefficient systems and governance which impede Joburg’s evolving spirit. Three words that describe this city….People, hustle, transforming. At my core I am a pan-Africanist and I think I could reside anywhere in Africa. For now however, I am interested in creating a space where people can find belonging in Cape Town, so I think for the next 5 years I’m probably gonna reside in Cape Town. But, I am a nomad, I’m constantly moving. Follow Bheki on Instagram at @bhekidup and check out what is happening at Curiocity hostel and book a stay here.